Of all of the names that have always had a place in my kitchen, Ziploc Brand products have been a staple. From prepping meals and keeping food fresh to conveniently storing and organizing just about everything, Ziploc Brand products are there in all shapes and sizes. It just wouldn't be the same without them! But now, just in time for Earth Month, we can feel even better about using Ziploc Brand products. Ziploc is 100% committed to recycling and helping the environment and has partnered with Recyclebank, the leading sustainable action platform that motivates and enables individuals to make a collective impact on the environment. Together they are working to provide families special incentives to increase recycling, which in turn, will help keep our country’s landfills from growing. How can you help? By visiting Recyclebank and pledging to recycle clean and dry Ziploc Brand bags - it's a simple way to incorporate earth-friendly habits into your daily routine as you prepare school lunches, family dinners or save leftovers! Just bring your clean and dry Ziploc Brand Sandwich, Storage and Freezer Bags to in-store bins at approximately 18,000 participating retail locations that accept plastic shopping bags for recycling and you'll be helping do your part. For more news on Ziploc and details on how you can get involved, visit Ziploc Sustainability. You can also share your family's earth-friendly tips on their Facebook page while keeping up to date with the variety of smart, quality solutions that they have to offer... like the great new Ziploc evolve Sandwich and Storage Bags. These ultra-light bags are made with 25% less plastic and are manufactured at a factory powered by up to 50 percent wind power! 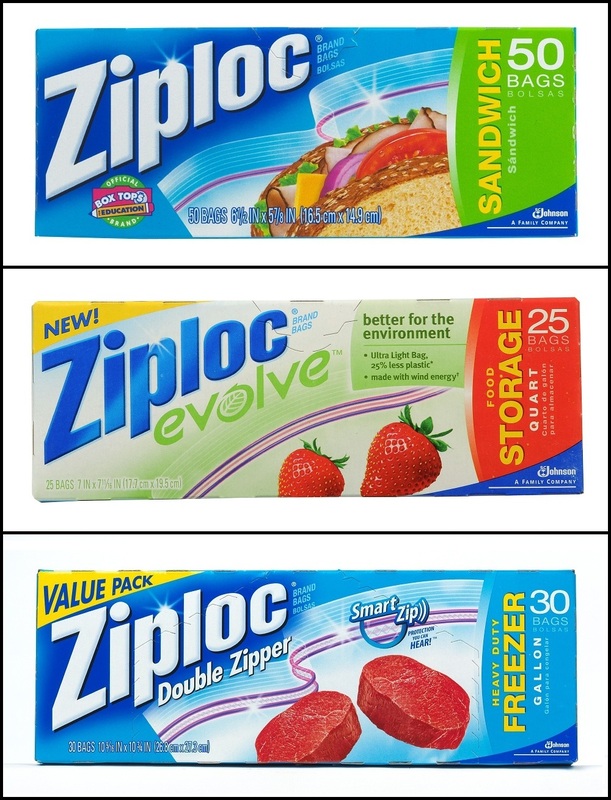 One lucky person will win a Ziploc Prize Pack containing Ziploc Brand Sandwich Bags, Ziploc evolve Storage Bags & Ziploc Brand Freezer Bags! To enter to win: Visit Ziploc Sustainability and tell me something you learned or liked there. 1 Extra Entry if you Like Ziploc Brand on Facebook. Giveaway will end on May 19th at 11:59pm CST. Do me the favor of leaving an email address or making absolutely sure it is visible in your profile, I have to have a way to contact the winner. The winner will be chosen by random.org and announced here as well as emailed and will have 48 hours to contact me or respond to notification or a new winner will be chosen. This giveaway is open to U.S. residents only. A big thank you to Ziploc for providing a Prize Pack for me to review as well as for one lucky giveaway winner. The opinions shared are my own and honest and if you really need to see more, click here to see how I roll. 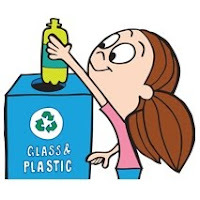 They have a recycling program to earn rewards-- didn't know that! I like that they are addressing landfill issues (calling it Landfill Diversion). It is mind boggling that every day, the average American generates 4.5 pounds of trash. Like Ziploc Brand on Facebook. I entered your $100 ATG giveaway. I entered your $10 Target/Walmart gc giveaway. I entered your $75 CSN giveaway. I entered your Kolobag giveaway. I entered your Karmin giveaway. I entered your Cascade Action Pac giveaway. I learned that Ziploc has a recipe section on their site featuring their Zip 'n Steam products. The Marinated Red Bell Peppers look yummy! Thanks so much for hosting this great giveaway! and Storage Bags are Made with 25 percent less plastic than regular Ziploc® Brand Bags of equivalent size. 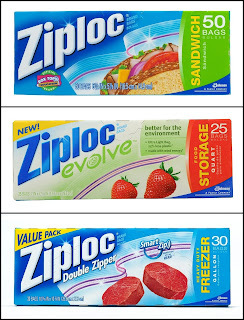 I learned that Ziploc Evolve Sandwich Bags are made with 25 percent less plastic than regular Ziploc® Brand Bags of equivalent size. the average American generates 4.5 pounds of trash. I like that Ziploc is encouraging recycling by including Recycle Bank points. I entered your Win & Give XO Laptop Giveaway. I entered your Freschetta Giveaway ending 4/29. I entered your Freschetta Giveaway ending 5/16. I entered your CSN Giveaway. I entered your Energizer National Parks giftcard Giveaway. I entered your Kids Chair Giveaway. I Like Ziploc Brand on Facebook. #1, I Like you on Facebook. #2, I Like you on Facebook. I entered your Lysol giveaway. I entered your Cascade giveaway. I entered for 5 bags of Cascade action Pacs from Clean It Supply. I learned that SC Johnson does not use BPA in Ziploc® Brand Bags and Containers! I'm a fan of yours on facebook. helping to divert millions of pounds of waste every year from our country’s landfills. I learned that you can cook food in ziploc bags in the microwave. I didn't know that. like thanks mail carrier on facebook lisa w.
I learned that you can't recycle plastic bags with other plastics because they're "lightweight and flexible and come in a lot of different sizes and shapes, they can get tangled up in the machines that sort all the other recyclables and force the whole line to shut down." iploc® Zip’n Steam® Bags are designed ONLY for use in the microwave. Do not use in a conventional oven, under browning elements, or on the stovetop. Ziploc® Zip’n Steam® Bags are not designed for boiling.